Hi Everyone. 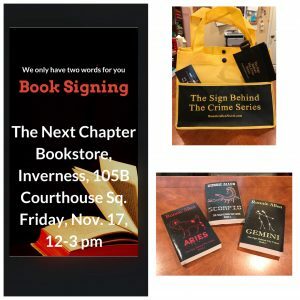 A lot of people have been asking for the paperback, so I’m excited to announce the first book signing for Scorpio: The Sign Behind The Crime Book 3, in Inverness, Florida. Of course you can buy the ebook on Amazon but you’ll only get the gorgeous swag, if you come to the book signing to purchase an autographed book. Save the date!! 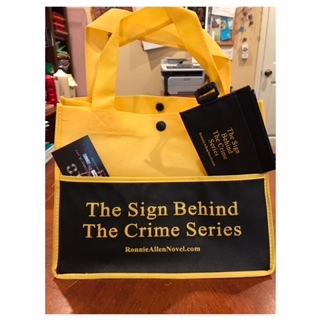 You can get this lunch bag and change purse with the purchase of one book, any book, in The Sign Behind The Crime Series. Getting holiday gifts? I’ll autograph the book with the recipient’s name and you’ll get a bag and purse with each book you buy! Otherwise there’s one bag and purse with your total purchase. If you love paperbacks and you’re in travel distance to Citrus County, get there. There will be Dunkin’ Donuts, too! 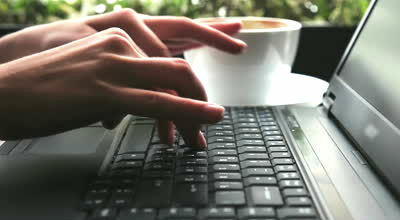 The books in this series are in multi genres: psychological thriller, romantic thriller, romantic suspense. And they’re steamy! Here is an excerpt with Detective Sam Wright and her team at the Manhattan Midtown-South precinct. 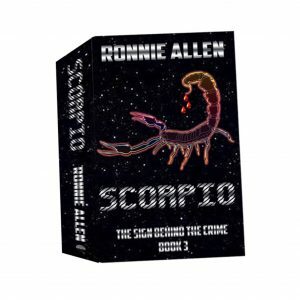 To read more about me, and order Scorpio, check out my in-depth interview in I Like Ebooks. Please feel free to leave comments, and if you order Scorpio, please be so kind to write a review.